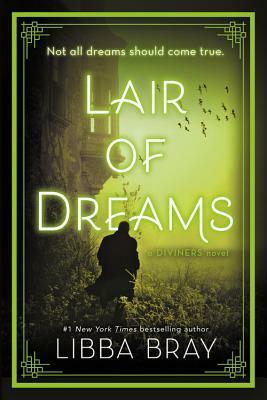 The thrilling supernatural sequel in The Diviners series by #1 New York Times bestselling author Libba Bray! After a supernatural show down with a serial killer, Evie O'Neill has outed herself as a Diviner. With her uncanny ability to read people's secrets, she's become a media darling and earned the title "America's Sweetheart Seer." Everyone's in love with the city's newest It Girl... everyone except the other Diviners. As Henry searches for a lost love and Ling strives to succeed in a world that shuns her, a malevolent force infects their dreams. And at the edges of it all lurks a man in a stovepipe hat who has plans that extend farther than anyone can guess... As the sickness spreads, can the Diviners descend into the dreamworld to save the city? Libba Bray is the #1 bestselling author of The Diviners, Lair of Dreams, the New York Times bestseller Beauty Queens, the 2010 Printz Award-winning Going Bovine, and the acclaimed Gemma Doyle trilogy. She lives in Brooklyn, New York.